Have you started thinking about a New Year's Resolution for the New Year? Whether you're keeping track of your current health status, starting a new fitness program, or training for a fitness competition, getting (and staying) motivated is the key! I have always found that my workouts go by much quicker when I'm listening to music - the more upbeat the better! When I'm working out on my elliptical or treadmill, I turn up the radio, tv music station, or jukebox and turn it up loud. But, when I'm exercising outdoors, I need my music to be portable! It's easy to "Get Motivated" while incorporating music into my routine by using the #1 selling sport earphones – Yurbuds! I just happen to have a hot pink pair and I absolutely love them! They don't hurt my ears, and they have never fallen out - no matter what type of activity I'm participating in! Studies have shown that music can increase the intensity and duration of a workout by as much as 15%. Unfortunately, most people miss out on those benefits because their earphones hurt and fall out during active use. - With Yurbuds TwistLock™ Technology and FlexSoft Comfort Fit, these Stereo-Bluetooth® earphones lock in place comfortably and are guaranteed never to hurt or fall out. - Smart Battery powers a week's worth of workouts and provides visual and audible indicators when running low. - Dedicated Pairing Button for simple 1-touch pairing. 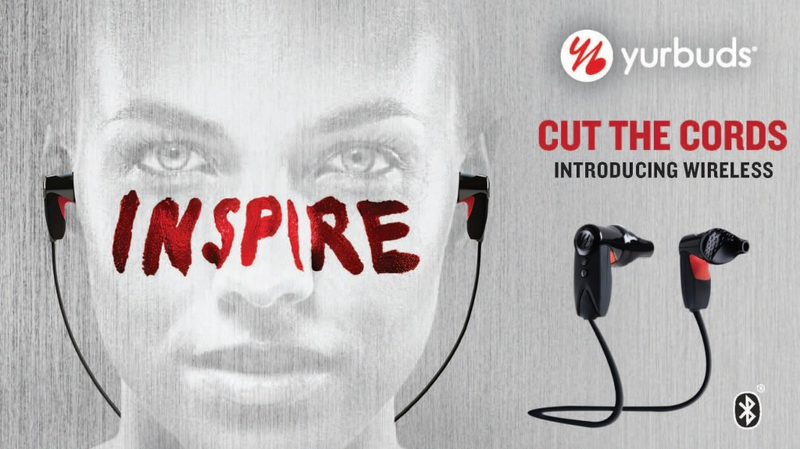 Yurbuds®, the #1 selling sport earphone company in the United States, is transforming the athlete experience with its new Inspire Limited Edition Wireless earphones to get you motivated through music. Launching at CES 2014 in Las Vegas this January, athletes and tech enthusiasts will be able to enjoy the first-ever Stereo-Bluetooth® wireless earphones guaranteed to never hurt and never fall out. Enjoy a special bloggers promotion 20% OFF ALL Yubuds coupon valid both in stores and online, online coupon code is yurbuds20off. 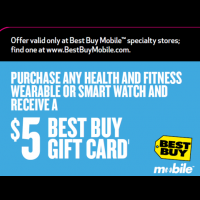 Also, enjoy a $5 Best Buy Gift Card when you purchase a qualifying Health and Fitness product at a Best Buy Mobile Specialty Store. What is your must have health and fitness accessory?